While LTE modems delivering mobile broadband services already appearing on the market, LTE phones are still some way off -- not least because manufacturers and operators have yet to agree how calls will be placed and voice traffic carried over LTE's all-IP networks. One of the solutions to that problem got a boost Monday, though, with more operators and vendors lending it their support. Support for One Voice, an initiative to standardize telephony over LTE (Long-Term Evolution) networks, has increased from 12 operators and vendors to over 40, according to the GSM Association (GSMA), which represents mobile operators and equipment manufacturers. The association will lead the development of the underlying specification from now on, it said, changing its name to VoLTE (Voice over LTE). That all adds up to a greater chance for subscribers that the first generation of LTE phones will work on multiple operators' networks -- although support for international roaming is still a work in progress. LTE is based on IP (Internet Protocol), support for which was more of an afterthought in older networks based on GSM (Global System for Mobile Communications), GPRS (General Packet Radio Service) or 3G (third-generation) mobile standard UMTS (Universal Mobile Telecommunications System). That means LTE networks will have to take a new approach to mobile telephony, breaking with GSM's circuit-switched voice. Operators still rely on voice for the bulk of their revenue, making the question too important to leave unresolved, according to Richard Webb, directing analyst at market research company Infonetics. The VoLTE/One Voice initiative was formed in November to speed up the development of voice services over LTE, and to avoid fragmentation of the market over technical issues. For mobile subscribers, the agreement improves the chance of phones working in different parts of the world. Operator support is key to avoid fragmentation, and AT&T, Orange, Telef&#243;nica, TeliaSonera, Verizon Wireless, Vodafone were among the founding members. Bell Canada, China Mobile, Deutsche Telekom, KDDI, NTT DoCoMo, and Telenor are now also backing the initiative. "What we expect is that the operator community throws its weight behind [VoLTE] across the board, and it becomes the de facto voice solution for LTE," said Dan Warren, director of technology at the GSMA. Vendor support has also grown to include Cisco, Huawei, LG and Motorola, according to the GSMA. That Deutsche Telekom has joined is especially interesting. In December, the operator announced it had completed the world's first voice call over LTE using VoLGA (Voice over LTE via Generic Access), a competitor to VoLTE. What this means for Deutsche Telekom's strategy is unclear. Company representatives did not immediately return requests for comment. VoLGA can be used as an interim solution for operators that are moving aggressively to LTE in the next year or two, according to Warren, as can Circuit Switched Fallback, which uses existing mobile networks for making voice calls but requires that phones contain circuitry for the older networks as well as LTE. However, the VoLTE Initiative's goal is to reduce the need for an interim solution for as many operators as possible, Warren said. 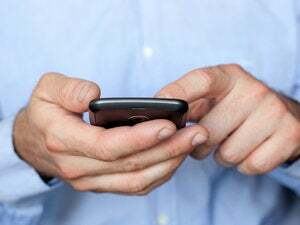 "The real issue with interim solutions is that once they are introduced into a network they become very difficult to turn off because they have a handset impact," he said. The VoLTE specification is still a work in progress. For example, support for roaming requires more work and the GSMA intends to have that done by the first quarter of 2011, Warren said. The first services based on the VoLTE specification are expected to arrive within 18 months, according to Warren. VoLTE is based on IMS (IP Multimedia Subsystem), a network technology that hasn't been a great success among mobile operators. Using IMS to roll out services that can be implemented using other technologies at a lower cost has always been difficult for mobile operators to justify, according to Warren. However, using IMS to implement voice is something completely different, because of the revenue that is associated with telephony, he said.